Our drug stores were founded to serve the Montgomery community with family friendly prescription fulfillment. We offer convenient pharmacy services from free consultations to prescription refills. 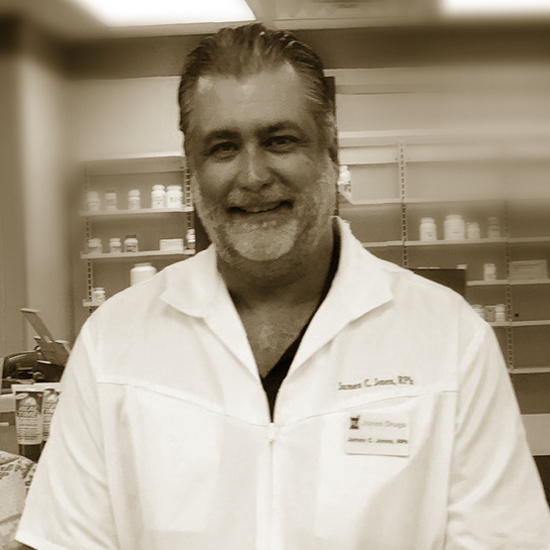 After establishing pharmacies in the area, Dr. James Jones opened Jones Drugs to serve downtown Montgomery and the Fairview Avenue residents. We look forward to becoming your family pharmacy by fulfilling prescription fast, the same price as the box stores, and with outstanding friendly service. We combine extensive record of pharmacy experience with an equal focus on customer service, friendly approach. We look forward to treating you like family!